Welcome to an inspiring course where we work with composition, shapes, light and color. You can try on different watercolor techniques -wet on wet, dry brush, etc. – and get tips on colors and materials used in watercolor painting. The course is suitable for both beginners and advanced students. The theme is “Outdoor Environments” which gives us the challenges of how to create light and contrasts, and work with shadows and depth in your watercolour. Bring photos (prints or digital) of places and environments which you want to paint. There are many prepared exercises but you also get time to work on your own. The course is held in the Norrtälje Konsthall, Norrtälje. Bring your sketch book if you have one, watercolor paints, brushes, pencil and eraser, watercolor paper is included in the course fee. There are easels, mugs, hairdryers and coffee of course. Stefan Gadnell is a trained Art Teacher and experienced watercolor painter. Saturday-Sunday, at 9:30 to 16:00, 13 -14 April 2019. 2900 SEK. The course fee includes watercolor paper and coffee. composition, sometimes in Uppsala, sometimes on Singö. Drawing is a course for beginners and is very much based on Betty Edwards book, “Drawing with the right brain.” For those of you who think you can’t draw. You will find that you can and it’s not that difficult. 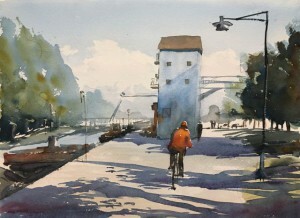 location, an exciting and very instructive way to paint watercolors. During the winter, we work indoors because it’s dark and cold in Sweden doing the winter. Therefor we use photographs a lot. You can manage with simple equipment, watercolor paper, paints and some brushes. If you are looking for tips on what to buy I will arrange it. I recommend that you buy loose colors, not finished boxes, which have some colors you will not use. In addition, you should buy the highest quality, they are…..better. 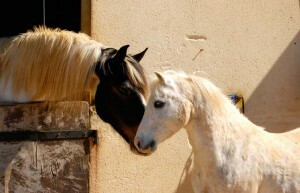 They also have more pigment, so the price is usually the same in the end. Photo/Composition is primarily about the composition, how to take good pictures. Not so much about the camera technology. The camera does a lot nowadays. The trick is to aim, choosing what should be in the picture, the camera can not help you with. I have had students who attended the course with his iPhone camera. But of course, someone has brought a Nikon D8000 and want to know more about the technology and we will fix it as well. Very good educator who give positive feedback. You dare to try new ways of working.